Technology gadgets are becoming everyday items in today’s modern world. Just as smartphones like the iPhone and Android devices, as well as the lithium-ion battery were adopted with much fanfare, modern technology is now being utilized and depended on to carry out daily activities. As mobile technology advances, people are finding ways to develop new technology gadgets that help solve a problem or that eases human effort. These new products appear to advance the problem-solving techniques of old products. New technology is not just a cool gadget — it is also built for functionality in and around the house and office. They come with new and improved designs and they have an easy-to-understand user interface. Whether you want to beautify your home or tighten your security, there are clever technology gadgets that can help you achieve your goals in no time. Here’s our roundup of the top new technology gadgets you should have in your home as you age in place. Mini but Mighty. 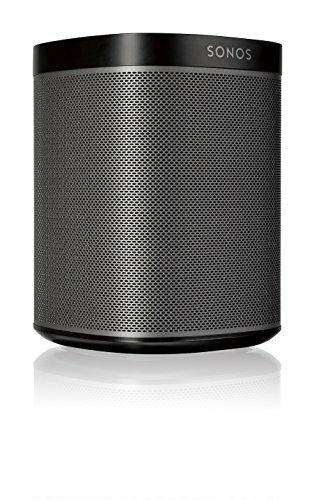 Fits in any space, fills any room with surprisingly rich and powerful sound. SONOS Play: 1 was ranked as one of the best purchases by some consumers in 2015. The smart wireless speaker produces a sound quality that is almost peerless in the market. It is not just a new technology gadget; it also delivers on its functions. The SONOS app is a cross-platform app and can be utilized on different smartphone operating systems and PCs. One of the benefits that come with using the SONOS Play: 1 is the fact that you can build it up to your preference with time. You can start with one and gradually add more speakers. Over time, this implies that you can fill your living space or your entire home with speakers. You can create separate networks in your home. For instance, you can have a distinct network for your bedroom and another for your living room. Features a precise edge cleaning brush to pick up more dirt and debris. Schedule daily cleanings or push a button for instant multi-room or spot cleaning. Patented laser-guided technology scans and maps the room, plans, and methodically cleans, automatically moving from room to room. This robotic vacuum cleaner is very impressive. It comes very handy especially for those who are not fond of vacuum cleaning. 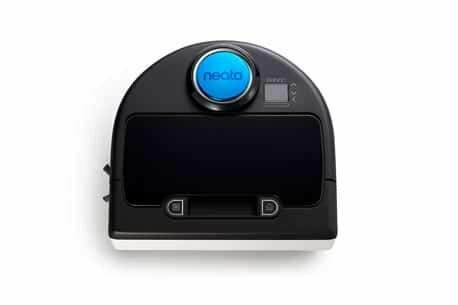 The Neato Robotics Botvac D85 is a robotic cleaner that comes in small size with a decent sized bag. The cleaner is capable of demolishing every kind of mess within your home. From pet hair to just anything possible, this robotic cleaner does it all. This tool is ideal for people who work long hours and like to run a small tidy shop. In the long run, this product comes way cheaper than conventional cleaners. Neato Robotics Botvac D85 cleans dirt from any hidden place. It is perfect for picking up pet hair and works well with all floor types. 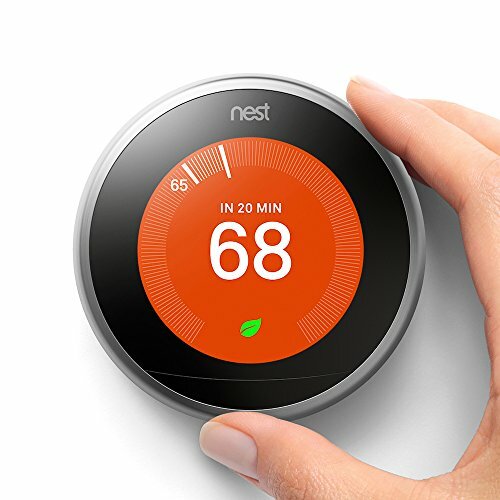 As the name suggests, Nest is a smart thermostat that learns your habits and preferences. It takes record of what degree of temperature you prefer and goes on to build a profile for you in its memory. Then, it uses the profile to manage the central heating of your home. Google Home is the direct rival of Amazon Echo. The Google Home is a smart speaker built on the Google Assistant platform. You can ask it questions and listen to its answers. Google Home learns your preferences and voice tone over time. The smart speaker works by tapping into the power of Google which includes search, maps, and translation. It is a combination of natural language processing, voice recognition, and machine learning. This expertise gives users the possibility of communicating with Google Assistant on Google Home. Google Home can also help with your translations and calculations. It can deliver a news briefing or a recent update from a media publication such as CNN or the BBC. Google Home is able to do these things using your preferred search. Simple, sleek design created to be the perfect kitchen companion in the modern home. Use the Smarter app to control your iKettle from wherever you are. Smartphone App available on iOS and Android. This kettle is very different from the kettle most of us grew up with. Everything on this kettle can be controlled from your phone. 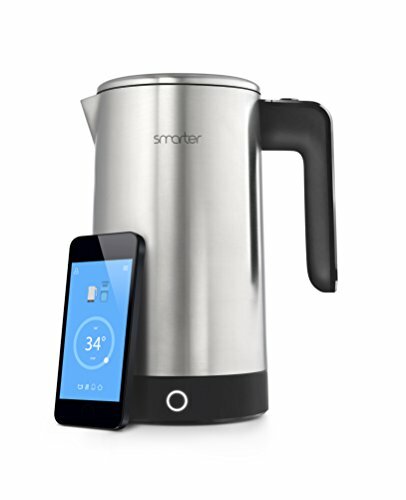 You can boil water or any liquid like tea and coffee liquid with this kettle by controlling it from anywhere in the room. The kettle comes with an App that shows you the exact water level contained in the kettle. The app will also notify you when the water boils to your satisfactory temperature. The wake-up mode and the home mode give you the ability to assign a time period for your kettle to be ready for use. If you want to have the best taste of your desired tea, the best temperature for that is between 20 and 100c. Manufactured by U.S. technology giant, Amazon, Amazon Echo is a great utility for your home. The gadget can play music, answer your questions just like Google Home, and even read you poetry. The technology gadget is built on Amazon’s powerful AI: Alexa. Alexa has been ranked as the smartest digital assistant in the world. It is even noted to be better than any other technology company’s AI including Apple, Google, and Microsoft. Amazon Echo is also open to third-party developers. The smart speaker is being developed all the time. If you are looking for a smart speaker, Amazon Echo is considerably ahead of the competition. The digital speaker can be connected to mobile apps such as TuneIn, Spotify, and Prime Music. It fills your room with a 360-degree directional audio. Of course, you can control it with your voice. Alexa does all the voice over service and can give you updates on trending news, traffic, weather, read audio books, and reports and many more. 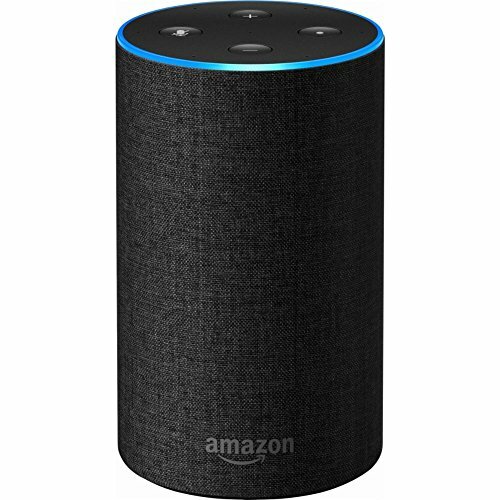 More interestingly, Amazon Echo controls switches, lights, thermostats and more devices, as long as they are deemed compatible and are connected. 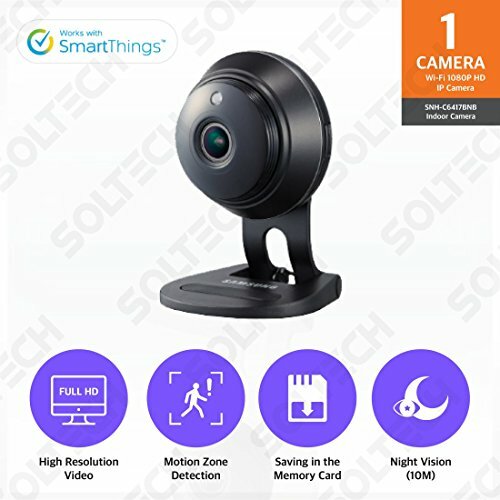 This is a good security camera for those who are focused on capturing a wide range of activities going on within and outside their homes. This Samsung camera does all the work for you. It is one of the best in the technology market and can be controlled from any location you are. This makes it a useful gadget as you don’t have to be at your home to see what’s happening. You can watch the footage on your smartphone and can control the camera from your mobile device as well. If you want to control your weight and stay healthy, it is important to keep a close eye on the food portions you digest. Also, the choice of food you choose to consume is vital to your overall health. This is both a health and kitchen app all in one. 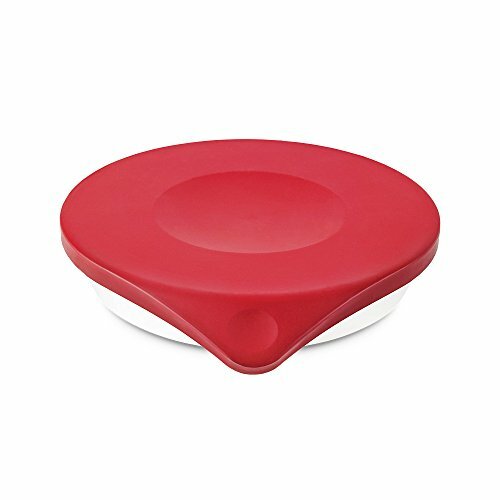 In case you don’t have kitchen scales and you are on the lookout for one that suits you, the Drop Kitchen Scale is one you should take a look at. With the Drop Kitchen Scale app, you have access to the multiple free interactive recipes to find the perfect recipe for you. You can even browse the app for ideas on how to prepare a unique and delicious delicacy. The Drop Kitchen Scale consumes low energy and the battery can last up to a year under normal use. Just like the Nest Smart Thermostat, the Nest Smoke and Carbon Monoxide Detector is also a smart connected technology gadget. It is an advanced home device that is used to detect smoke and carbon monoxide. 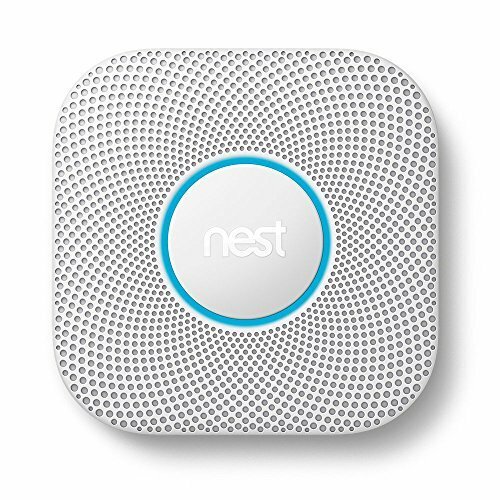 Once you install this device in your home, you can rest assured your Nest is keeping tabs on any smoke or carbon monoxide. The smoke detector also tells you what exactly is wrong and the location of the smoke. Nest Protect is connected to your mobile device to alarm you when something is wrong. This is an attractive and small weather sensor. It comes with an anodized aluminum case which is easy to set up. The moment you purchase one and turn it on, you can download the Elgato Eve app from the Apple store. Then, you will point your iPhone camera to the weather sensor facing the code printed beneath it. And that’s it—you can start using the Elgato Eve Degree. The water-resistant Degree can be used to measure humidity, temperature, and pressure. 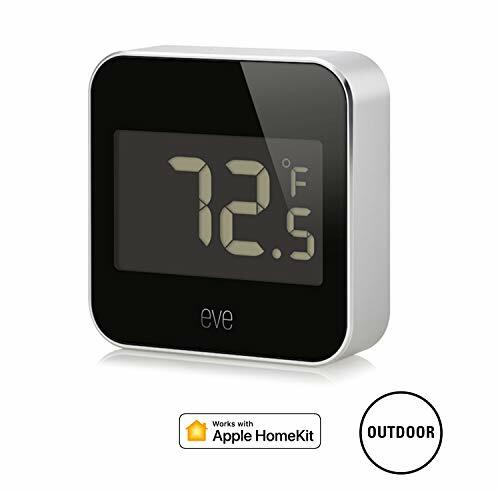 You can remotely check the temperature using the app on your Apple device. The sensor also integrates Apple digital assistant Siri, meaning you can talk to Siri to give you the day’s updates on weather and traffic. Every day, great gadgets are being manufactured to help you achieve a particular task faster and easier than ever before. While you can’t use or purchase all of the new technology gadgets, some of them are important for you and can be useful at home. If you are looking to buy any new technology gadgets, the above-named gadgets should make your list when shopping.